The individuals who make up THF are the reason we continue to succeed in our mission and grow our ability to serve. Every addition must be one of strength that exponentially adds to the team. The latest individual to meet that standard is global talent executive Phillip Dana, who joins as our first-ever Vice President/Chief of People Operations. 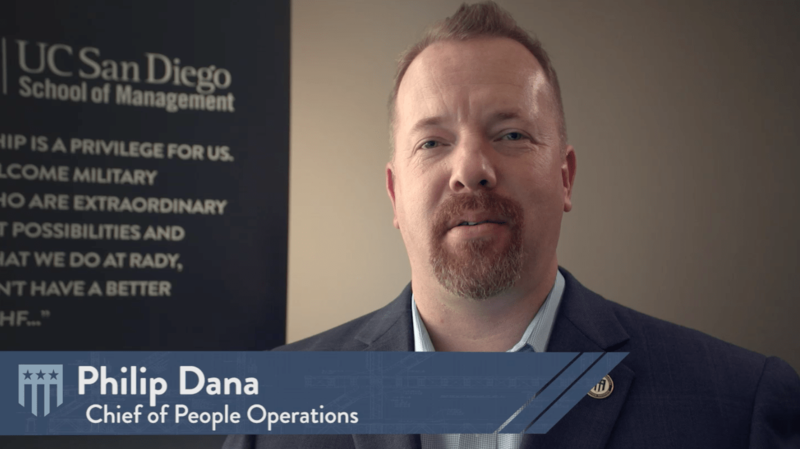 A former US Navy Enlisted and Officer, Dana comes to us with a legacy of founding and building some of the largest corporate military hiring programs in the country. At Sears Holdings, he was a Talent Acquisition Diversity Leader, supporting more than 32 business units and over 300,000 employees. Later, as a manager of Talent Acquisition at Amazon, he founded the military talent program now called Amazon Warriors. Dana also led talent acquisition efforts, with military hiring emphasis, at Life Technologies, NuVasive, and Intuit. Dana’s leap from the private sector to public speaks to his passion for advancing the careers of the Naval Special Warfare/ Special Operations Forces communities without limitation, and also to the draw of the unique culture at THF. “I look forward to bringing The Honor Foundation’s Fellows to a precipice to give them the best possible opportunity to find the right job, the right company, the right culture and at the right time,” says Dana. Dana will be charged with growing our base of sponsors, mentors, and world-class employers and donors who understand our mission and truly care about the long-term impact our Fellows can have. He will also work to develop a data-driven and transparent record of results in the graduation of each Fellow.